Continental hosted a road safety workshop at the CLOCS event, held at the National Motorcycle Museum in Birmingham, on Wednesday, March 20. 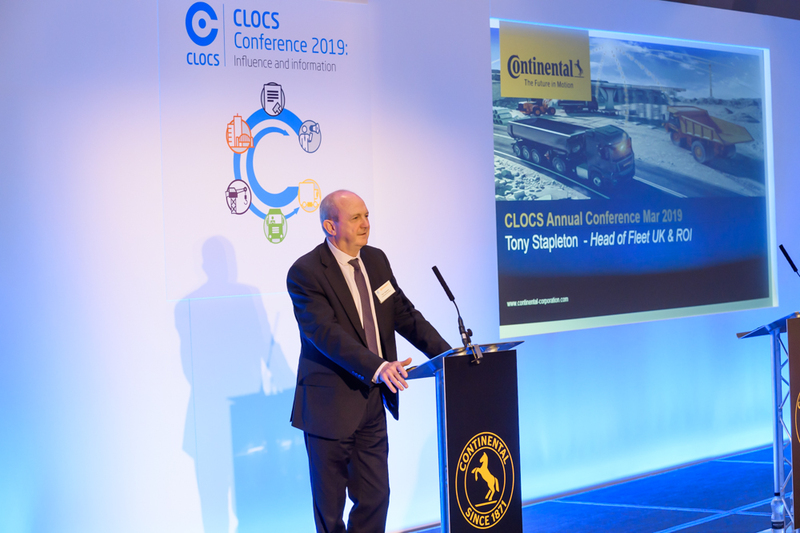 Tony Stapleton, Head of Fleet Sales at Continental speaking at the CLOCS Annual Conference 2019. As headline sponsor, Continental used its platform to discuss how new digitalised transport technologies and information systems are set to improve both logistics performance and road safety for fleet operators, clients and contractors within the construction industry. Continental’s new close working partnership with CLOCS aligns with the Continental Vision Zero initiative, and CLOCS’ mission statement of “Ensuring the safest construction vehicle journeys”. Vision Zero is Continental’s pledge to drastically improve safety on the UK’s road networks for all road users; working towards zero accidents, zero injuries and zero fatalities to create the safest possible vehicle journey. The workshop, delivered to CLOCS delegates at the event, sought to educate attendees about how the transport industry is making digital leap, drawing on Continental’s expertise as a world-leading tyre and digital solutions provider, and highlight the technologies within its portfolio which will help enhance efficiency, safety and comfort. Speaking after the event, Tony Stapleton, Head of Fleet Sales at Continental said: “The haulage industry is undergoing radical changes. ADAS system like eHorizon are paving the way to automated driving in the future and contributing to greater road safety. In addition, smart, digital tachographs are multipurpose, trustworthy data sources for telematics processes, while turning assistant systems will soon be smart enough to interpret complex, unpredictable traffic situations and initiate emergency braking if required. Digitalised TPMS systems allow transport managers to make proactive decisions and prevent roadside breakdowns. Continental’s dynamic eHorizon system was also discussed. This interactive driver assistance tool helps commercial vehicle drivers save fuel by accessing real-time data from other vehicles further up the road. The system allows trucks to see the traffic flow sooner and optimise their vehicle speed profile accordingly. CLOCS project director Derek Rees commented: “CLOCS was delighted to partner with Continental for the 2019 CLOCS annual conference because we share the same commitment to Vision Zero – eliminating the 500 fatal and serious injury collisions between HGVs and pedestrians, pedal cyclists and motorcyclists on Britain’s roads every year. 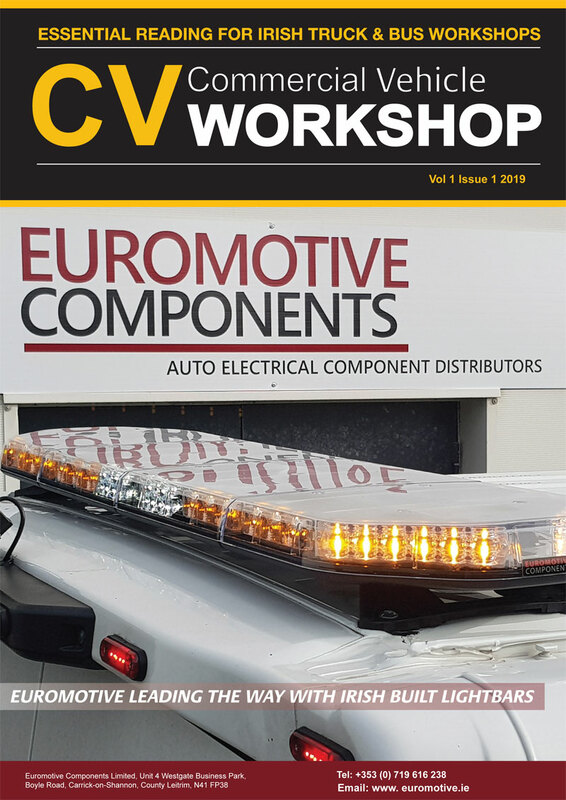 Derek Rees added, “I look forward to working in partnership with Continental in driving awareness and implementation of the CLOCS Standard in every UK town and city to keep every community safe and healthy”.